Tomorrow the battalions of allied forces from the USA, France and Great Britain will march down the Red Square together with the Russian regiments. For the first time in history they will take part in the traditional military parade to commemorate the 65th anniversary of the Great Victory over Nazism. The United States will be represented by the 2nd Battalion of the 18th Infantry, a unit that had landed in Normandy in 1944 opening the ‘second front’. The acting officers of the notable Normandie-Niemen squadron of the French Air Force that since 1943 had been fighting wing-to-wing with the Russians in the Eastern Front will march for France. Britain is expected to be represented by the Royal Air Force band and the 1st Battalion of the Welsh’s Regiment. Essentially these plans envisaged that the Nazi Germany would be definitely defeated by the Soviet troops and then, in the post-war period, ‘the German card’ will be played in full against the USSR. 1. Germany will be occupied and save-guarded by American and British troops, which are the only ones fit for this function as both countries do not have territorial claims to Germany. 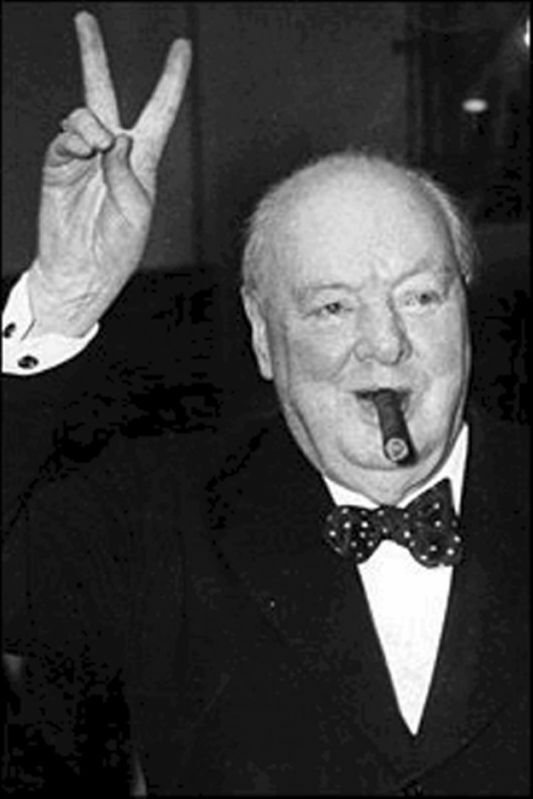 Winston Churchill and other British and American politicians used this ‘initial assistance’ clause as a pretext to issue secret commandments requiring saving the armaments and munitions of the surrounding German units as well as their military structures. It would be a basis for reconstitution of the German army under Anglo-Saxon control as a bridgehead against Russia in Europe. On April 22, 1945 the new American president Harry S. Truman gathered a secret meeting in Washington. Secretary of State Edward Reilly Stettinius, Secretary of War Henry Lewis Stimson, Secretary of the Navy James Vincent Forrestal, General George Catlett Marshall, US Ambassador to the USSR William Averell Harriman, Admiral William D. Leahy and few others were present. The future relations with the USSR were in focus on the meeting. Admiral Leahy wrote in his memoirs: “The group came to a conclusion that the time has come to take a strong position towards Soviet Union”. 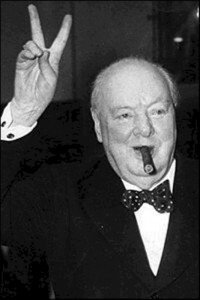 Two days later Winston Churchill said that the relations with the USSR ‘are possible only in case Soviet people recognize Anglo-American force’. Exactly those days, when thousands of Russian were dying in the outskirts of Berlin bringing the Victory closer, the political course of our ‘Allies’ towards Russians had been drastically changed and the epoch of increasingly ‘tough approach’ to the USSR began. United States and Britain desperately needed a ‘third force’ to prove that they are not only able to repel a ‘Soviet attack’ but to promptly crash USSR in a hypothetic war. Defeated German forces – well-trained and experienced with 6 years of combats in Europe, highly-disciplined and diligent – they represented ideal cannon fodder for Anglo-Saxons. Quantitatively they have been a serious military force as well. German aviators were sincerely astonished: “Where are we getting new German fighters and bombers from? Now we have much more machines than during the last months of war!” Two thirds of Nazi German aviators were back to service under British control. To say the truth, many British officers and soldiers were opposing such treacherous alliance with the recent adversary. Soviet commandment was aware of the maneuvers of the ‘allies’ in their occupation zone. To avoid mutual misunderstanding in October, 1945 Soviet Marshal Georgiy Zhukov has delivered a Memo to the Control Council expressing concern over the presence of organized units of the former Hitler troops within the British occupation zone. 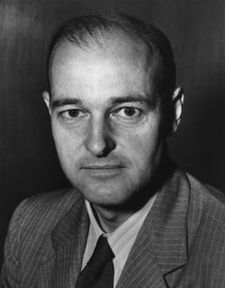 The major unit among those mentioned in the Memo was the so-called Nord Group that conserved all operational structures of the former Muller Group of Hitler’s Wehrmacht. It consisted of two 100 000-strong Corps Stockhausen and Witthoff. The detailed list of all former Wehrmacht units and its dislocations under British protection was attached to the Memo. 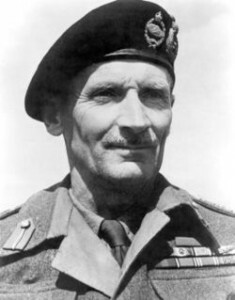 Under the conclusive evidence on November 30, 1945 when discussing the Memo with the members of Control Council, British Field Marshal Bernard Law Montgomery was forced to recognize the presence of the armed and organized Wehrmacht units within the British zone. Marshal Zhukov final remark was: ‘I do not want to suspect Field Marshal Montgomery in intentions to unleash a war against the USSR, but as the Soviet top commander I want the comprehensive and definite disarmament of the Wehrmacht troops in full compliance with the decisions of the Potsdam Conference’. By the way, during that conversation Field Marshal Montgomery has blurted out that ‘the strategy we are following was established by the Joint Command under General Eisenhower’. Why do we remember old stories on the eve of the Great Victory and first joint parade? Not for mutual reproaches, no. It is for the mutual understanding. For elaborating truthful and balanced historical pattern for the future generations. For making right conclusions and not repeating mistakes and past intrigues. Because the future belongs to the honest and sincere. (*) Here and below the citations are my back translations from the Russian sources. I would appreciate if my readers provide me with the original ones, which I failed to find in the Internet. The post was written by ORIENTAL REVIEW basing on Strategic Culture Foundation publication in the Russian language.